7 Hidden Gems in Kuala Lumpur to be Discover! - MisTan IzZy | Travel & Lifestyle. When comes to talk about the attractions in Kuala Lumpur, I couldn't believe myself for only knowing KL Tower and KLCC. Shame to admit that, a person living in Kuala Lumpur for more than 5 years now, and all I can explain to peoples are my travel experiences abroad but nothing about Kuala Lumpur! Well, its never to late to explore a city especially when I'm living in it :) A big thanks to Tourism Malaysia for bringing such a good project namely 'About KL', I had so much fun understanding more about KL! Things to know about Kuala Lumpur and the 7 hidden gems that I found in Kuala Lumpur for the first time ever, which I think that, we, as a Malaysian, should really pay a visit! 95 years of Good Old Taste, established in 1921, Coliseum Cafe & Grill is one of the oldest in the country and is a walk down memory lane in KL in the early 1920's. It's one of the best examples of the city's colonial heritage. The old furniture and decorative memorabilia creates a wonderful nostalgia feeling, and are preserved from when it was first opened in the 1920s when at that time, the Coliseum was the finest cafe & grill room in Malaysia. It's like a step back in time - dark wood saloon doors take you into the bar; delightfully worn tiled floors and antique furniture characterize this atmospheric restaurant and bar, which is undoubtedly a KL institution. Address : 98-100 & 102 Jalan Tuanku Abdul Rahman 50100 Kuala Lumpur. Operating Hours : From 10.00am to 10.00pm. Located in the iconic Panggung Bandaraya building, built at the turn of the twentieth century, was one of the first few structures constructed to mark the new city of Kuala Lumpur. Hence it is fitting that the tale of Kuala Lumpur be staged at this heritage site. A vibrant cultural musical of the history of Kuala Lumpur. Enjoy and experience the theatrical magic, a breathtaking sensory feast, and deep in the heart of it : a Malaysian story with a strong emotional connection to the people of yesterday, today and tomorrow. If it wasn't for this show, I wouldn't have know about how Kuala Lumpur survived through The Great Fire and The Great Flood back in 1881, and transforming into the metropolis it is today! Address : Panggung Bandaraya Dataran Merdeka Jalan Raja, 50350, Kuala Lumpur. Coliseum is collaborating with MUDKL to have a package at RM100 nett! What's included are set meal special and MudKL ticket! 360 degree of Kuala Lumpur starts here. See the past, present and future of Kuala Lumpur and the Kuala Lumpur Model an innovative showcase. The giant I Love KL is a must photo stop! 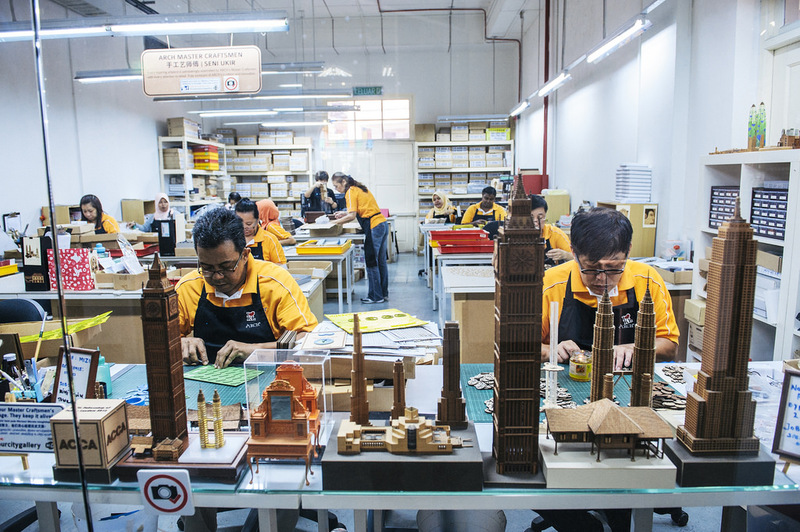 Take home Made in Malaysia gifts, the official souvenir of Kuala Lumpur. In the gallery, you will get to see them live demonstrate about Arch, the architectural scale model. Driven by a passion for architecture, Andrew Lee - Founder and CEO, designed his initial range of veneer art pieces on heritage buildings and iconic landmarks. 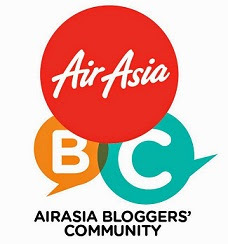 Address : 27, Jalan Raja, Dataran Merdeka, Kuala Lumpur. This walkway system and platforms are vantage points to experience a panoramic view of the forest and Kuala Lumpur area from a distance. It is located at the KL Forest Eco Park (formerly known as the Bukit Nanas Forest Reserve). Most of all, entrance is FREE at the moment! The mini zoo was set to opened in 2015. Even though its a mini zoo, but the advantage of its mini is that you get a real touch with the animals, a real interaction with the animals! Free admission for children body height below 90cm. We all know that the first upside-down house in Malaysia is located in Sabah, but now you don't have to fly all the way to Sabah from Kuala Lumpur! KL Upside-down House has now been operating and its located just below of KL Tower. Laser Battle is the Asia's largest laser tag operator and a leading sole distributor from Zone Empire (P&C Micros) products with a network of more than 600 outlets worldwide. Have both indoor and outdoor laser tag. Have you play paintball before? I wasn't really love to play paintball since its painful being shoot :( However, until my first battle of Laser Tag, I just wish that it never stops! - An advance simulated warfare with real phasers. - No pain and safe for all ages 4 and up. - Game packed with fun and interaction. Transportation now made easy with KL HOP-ON HOP-OFF buses, One Ticket to see it all! Explore Kuala Lumpur the fun way, on an open deck double decker tour bus. KL Hop-On Hop-Off tour covers major attractions including historical sites, nature and passing through famous landmarks and KL's main shopping areas! - ticket holders are allowed to hop-on and hop-off at any of the 23 designated stops. - free for children below 5 years old. - for student rate, please present your student ID upon boarding for verification. - MyKad must be presented for local rate. - Child below the age of 12 must be accompanied by an adult. Foreigners - 24hrs RM 40, 48hrs RM 74 / Child,Student,Disable 24hrs RM 19, 48hrs RM 38. 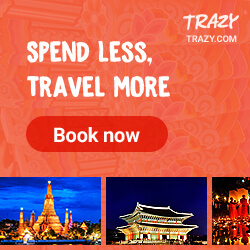 Check out Tourism Malaysia Kuala Lumpur for more updates! Did you try the Sizzling steak at Coliseum? It's awwwesome! Wow, KL has so much to do and explore. Would visit these places on my next visit to KL.